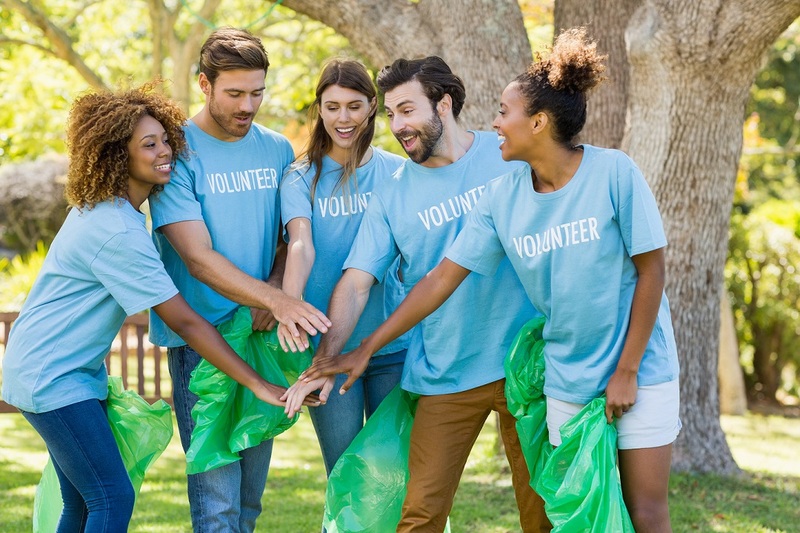 An Employee Volunteer Program (EVP), also often referred to as workplace volunteer program or employer-sponsored volunteer program, is becoming more and more prevalent in today’s world. I would argue that a program such as this is an essential addition to all employee benefit packages if a company wants to attract and retain the most talented recruits of the millennial generation. This emerging group of workers is unique as compared to previous generations in that they seek to blend their personal and professional lives in a remarkable way to find what we all strive for, job satisfaction. An EVP can come in many shapes and sizes. Some companies offer paid time for their workers to go out into the community to an organization of their choosing and give back. Other employers encourage workplace financial giving. Sometimes, a firm will organize days of service when everyone volunteers together. These are often opportunities that are regular, recurring, and can be built into employees’ work schedules. No matter which format a company uses, the benefits of offering such a program are quite desirable if you are an employer. How will my employees benefit from an EVP? The benefits of offering an EVP to your employees are numerous. This type of program nurtures employee engagement and job satisfaction, thus increasing the likelihood for employees to become committed and loyal to your organization. Volunteering together fosters camaraderie and improves communication between members of your workforce. Workers often report increased mental and physical well-being, as well as pride in their work and the firm they are employed by. Employees who partake in an EVP are usually more productive in their jobs on an everyday basis. They feel gratitude to their employers for prioritizing social issues. All these things lead to increased job satisfaction and increased engagement, which directly correlates to increased employee retention. Are there direct benefits to me, the employer? Besides increasing employee engagement, job satisfaction, and retention, employers reap additional benefits of an EVP in very significant ways. Let’s face it, most of us are in business for profit. Employee turnover is costly. Retaining our top performers should be a priority, as recruiting and training new employees negatively affects our bottom line. Not only do we want to retain our productive employees, we want to attract the best of the best when we are looking to hire, especially millennials. Volunteering out in the community increases brand visibility. It creates a corporate culture of having a positive influence on the communities in which we live and work. Potential clients will begin to recognize your business as one who cares about people and social issues. How do I start an EVP program at my business? First, examine your business's mission statement. How does an EVP fit into your mission and company goals? Second, ensure there is support at the very highest levels of the organization. If this is not supported by the top executives, it will not be a successful program. Next, designate someone who is interested in helping implement this program to be the main point of contact and to help iron out the details. 1. Will employees have paid time off to volunteer? If so, how much per year? 2. Will employees choose their own non-profits or will your business schedule the volunteer opportunities? 3. How will opportunities be communicated to employees? 4. How will the success of the EVP be measured? Finally, look at your surrounding community to find potential non-profits that would make good partners for your business and reach out to them. It will likely take some time for your business's EVP to take off. It is important to measure the success of the program so you know what is working, what is not, and how to improve it for the future. Most executives want to see numbers, so it is essential to create a method for employees to report their donated time and money. Independent Sector is an organization that assigns a monetary value to one hour of donated time. This is a great tool to help monetize the financial effect your business is having on the non-profit community. Some fun ideas are to create teams within your business to foster a little competition and team-building. Offer lunch-n-learns where you bring in a representative from a local non-profit who gives a short presentation on what their organization does and how your business could partner with them. Use social media to showcase pictures and videos of your employees out in the community. Be creative, flexible, and listen to your employees. After all, they are the backbone of a successful EVP, just as they are the backbone of your business.